Known throughout Tennessee as "Old Kate", the Bell Witch took up residence with John Bell's family in 1818. It was a cruel and noisy spirit, given to knocking and gnawing sounds before finding its own voices. With these voices and supernatural acts, the Bell Witch tormented the Bell family. 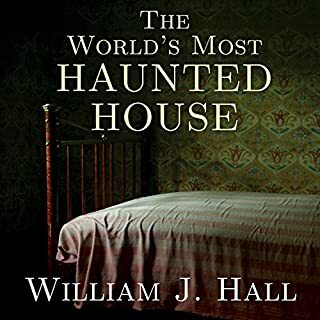 This extraordinary tale recounts the only documented case in U.S. History when a spirit "actually caused a man's death". The then local schoolteacher and later senator, Richard Powell, witnessed these strange events and recorded them in a diary for his daughter. He died in 1948. His astonishing manuscript fell into the hands of novelist Brent Monohan, who edited it for this retelling. Really exceeded my expectations--I have no idea where the fact in this retelling ends, and where the fiction begins, but found it absolutely believable and engrossing throughout. 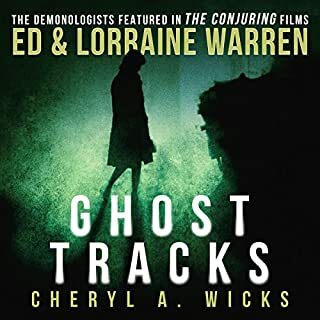 And I really liked the ending (the "reveal"); sets itself apart from typical ghost stories through a rare subtlety and attention to character. Yes, the narrator has a very unusual voice, (at times I wondered if he was computer-generated), but I quickly accepted it as the sound of the hickory strewn frontier! And he does a fantastic job as the voice of the witch. 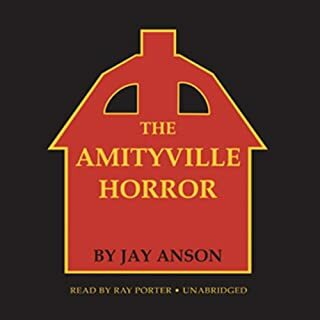 Listeners who criticize this book as boring and not scary have been reading too many Stephen King novels.Think of this book more as the recollections of an aged great grandfather told around the fireplace. You wonder how accurate these recollections are but, if true, they are terrifying. The story may seem to drag a bit at times, with similar activities occurring in a number of episodes--but remember, this is taken from someone's actual journal and is not a piece of carefully plotted fiction. I am assuming, of course, that Mr. Monahan did not create any of the events described or any of the thoughts of the original journalist, only updated some of the language and perhaps excised portions not relevant to the story. Make sure you finish the book--the ending is quite startling. When I first started to listen to this I was a little distressed because the narrator sounded computer generated, but after getting about 10 minutes or so into it I realized that he was actually a pretty good narrator and did an outstanding job with the voices, particularly those of the "witch". This is a very interesting book and I would highly recommend it. I was still left wondering whether or not the story is true. By that what I mean is whether or not the account was just edited by the author from a diary that belonged to Richard Powell or whether or not he took these highly documented accounts and expanded upon them with his own theories. What made the experience of listening to The Bell Witch the most enjoyable? I listen to and read books like this for two reasons. Firstly, entertainment, and secondly, because I myself like to write in the horror genre, and naturally anything I read or listen to can spark ideas for my own, original work. 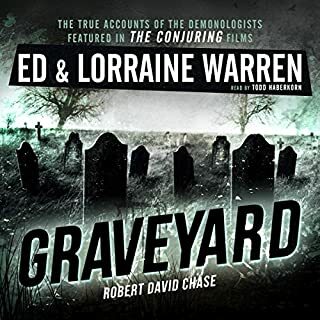 The Bell Witch introduced a little twist to the poltergeist phenomena that I have actually already incorporated into something I'm writing, but listening to this has given me a clearer idea of what I need to do to be effective, and has encouraged me to keep going with my project. What was one of the most memorable moments of The Bell Witch? When it was revealed why the 'witch' had come in the first place. What does Cameron Beierle bring to the story that you wouldn?? ?t experience if you just read the book? He did the voice for the 'witch' in a way I never would have come up with in my own head, and he managed to make it sound quite eerie in many places. I can still hear it now :) Also, for me at least, it's always easier to listen to a book written in an older style than it is to read it. Not sure, something about revenge, maybe. I'm not sure if this is supposed to be a true story, but it was an entertaining story. It is a journal of the haunting of the Bell Witch written by someone who allegedly has first hand knowledge of the occurrences related. The writing style is old fashioned giving the story a feel of authenticity. If you believe, or suspend disbelief, you can imagine how terrifing it would be to live this story! Scary as hell! Dont make the same mistake I did by listeneing to this while trying to fall asleep. Narration is solid and added to the drama more than most audio books. Although this is a long book, I remained interested in the story as it unfolded. Much credit goes to the good reader. At times it seemed the author was providing too much background information, but these moments didn't last long. The writer gave great details regarding the various family members, the ghosts, the hauntings and the witch. I will recommend this story to others - at least to those who aren't troubled by stories of ghosts. Well done, keeping you in the "other world" till the very end. Made me go on line to research the subject further. so "kudos" for that. Numerous reliable witnesses and evidence legitimize this haunting. This family's story is frightening and fascinating, and I couldn't stop listening. This would make a great movie, if it isn't already. Would you listen to The Bell Witch again? Why? YES, I LOVE GHOST STORIES AND HAD HEARD ABOUT THIS ONE FOR YEARS...I SAW THE MOVIE THAT WAS MADE A FEW YEARS AGO. I LOVE TO LISTEN TO AUDIO BOOKS WHEN I AM ON THE ROAD, WHICH IS VERY OFTEN. I LISTEN TO THEM ON VACATION AND TOO RELAX. THE GHOST STORY AND VIOLENT ACTS THAT HAPPENED...IT IS VERY DISTURBING ABOUT WHAT HAPPENED TO THE GIRL AND THE REASON FOR THE HAUNTING. REMEMBER THIS AUDIO BOOK HAS A VERY DISTURBING TALE TO TELL. WARNING WARNING WARNING. Honestly, I don't know where to start on this. As a genuine haunting it is totally unbelievable. 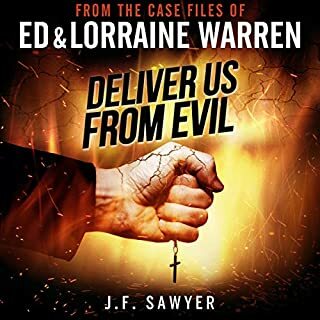 The only thing I can say about this book is although it is totally unbelievable and lacks any kind of credit it's a thumping good listen for a story. It entertained me and if it was in the Fiction Section I would rate it very highly! Would you try another book written by Brent Monahan or narrated by Cameron Beierle? No issues with narrator however average book. What was most disappointing about Brent Monahan’s story? It would have been more believable had the ghost not talked! 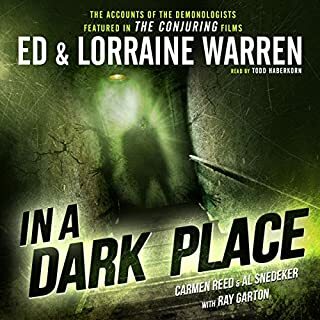 Would you listen to another book narrated by Cameron Beierle? Worth getting for fun factor if on offer but there are many more worthy books to read out there. This is a beautiful story written by the author. however the audio book has been ruined by the narrator by trying to do voice-over as it's a play or a drama. the narrator forgot that this is an audio book. didn't have to change his voice and talk like a old witch or a woman. simply annoying. He just had one job only to complete.. ie. just to narrate the book. he failed BIG time. 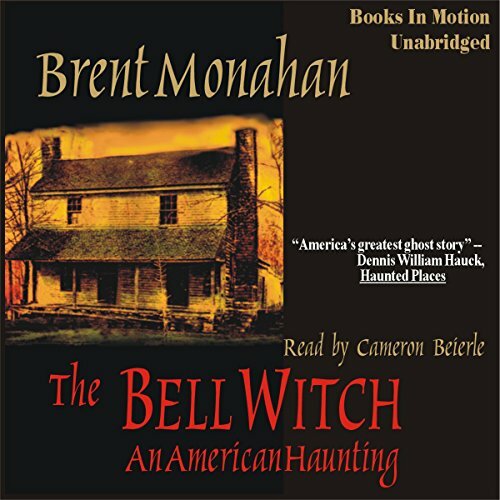 But, the Bell Witch: An American Haunting is a beautiful story.